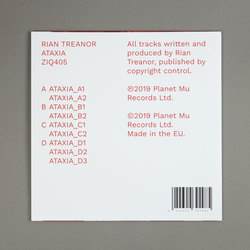 Rian Treanor - ATAXIA. Vinyl LP, CD. Bleep. 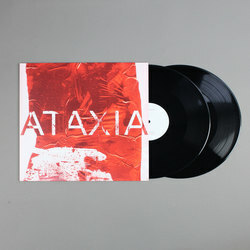 After Rian Treanor's Contraposition EP, the first release on the revived Warp Records sub-label, Arcola and his releases on Death on Rave, we have been waiting with our ears and feet at the ready for his debut album, and it surely does not disappoint. The record’s title is the term given to medical conditions that make bodies move in unpredictable ways. It is an apt descriptor for a record in which the beats never settle and each track seems intent to outdo the others for rhythmic inventiveness. 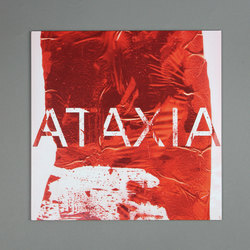 With ATAXIA we are welcomed into a sound-world where club sonics are smashed together with delirious abandon. Speed garage, leftfield techno, grime, Braindance and more are all present, with Treanor dissecting the sonic artefacts from bygone eras of clubbing - a garage vocal, a synth pad or an upstart rhythmic archetype from his hometown of Sheffield, creating complex rhythmic constructions. While the focus is on experimental electronic composition, the tracks here never sacrifice dancefloor impact even as they splice their beats apart. The overall effect is at once witty and serious, abstract yet visceral, and as such he is frequently compared with artists like Errorsmith and EVOL, or indeed his father Mark Fell. An incredible debut, and an inspired addition to the Planet Mu roster, and we are now glued to the soundwaves of what he will do next.